Yesterday marked the opening of the General Assembly’s 439th Legislative Session, which will last until April 8th at midnight. From responding to a federal government shutdown to advocating for important policies to enhance our State, I know it will be another jam-packed 90 days! I am honored to have been sworn in for my second term as the State Senator representing Gaithersburg and Rockville. Joining me on the Senate floor for the Swearing-in Ceremony were my Uncle and a dear friend. This term, we have a record-breaking 72 women (15 Senators and 57 Delegates) serving in the 188-member General Assembly. Many of my colleagues are freshmen; of the 47 Senators, 18 are newly elected. They bring fresh ideas and perspectives. On a more sobering note, President Miller disclosed that he is battling cancer. As a nationally known leader and the longest-serving Senate President in the nation’s history, I know he has the fortitude to prevail and return to good health. Looking forward to working with freshman Senators Lam and Hester! Democratic legislators and activists gathered to discuss our agenda and how we plan to protect Marylanders from the irresponsible and short-sighted “Trump Shutdown.” Rockville and Gaithersburg are home to many federal workers and contractors. Democrats stand united with Speaker Pelosi and Leader Schumer in their efforts to reopen our federal government. To further educate myself and my colleagues, I have now visited 17 (of 24) 9-1-1 Centers across the state, often with other Senators. The changes coming with “Next Generation 9-1-1” will make it more flexible, accurate, and reliable. My bipartisan legislation will implement the unanimous recommendations of the 9-1-1 Commission I chair. I look forward to working with other legislators to help save lives. Along with your District 17 Delegates (Barve, Gilchrist, and Palakovich Carr), I co-hosted a legislative preview in Gaithersburg. We were delighted to welcome 120+ constituents on a lovely Sunday afternoon. 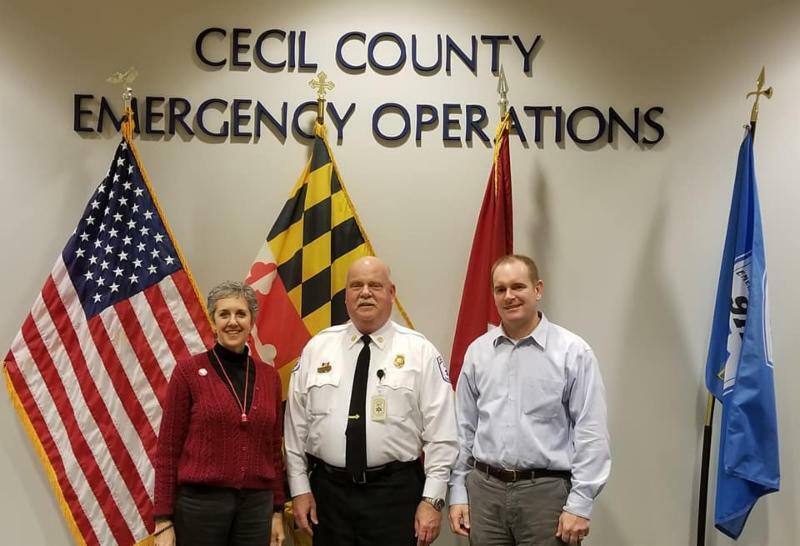 Click here to see me talk about improving 9-1-1, Ranked Choice Voting, the Styrofoam ban, consumer protection, and the Hogan proposals to widen I-270. You can read more too! 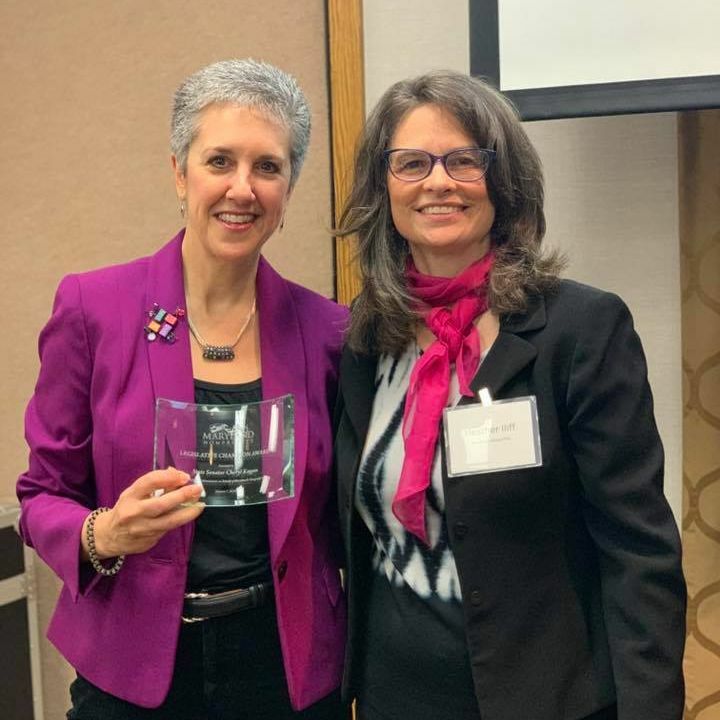 Heather Iliff, President & CEO of Maryland Nonprofits, presenting me with their first-ever “Legislative Champion” Award. 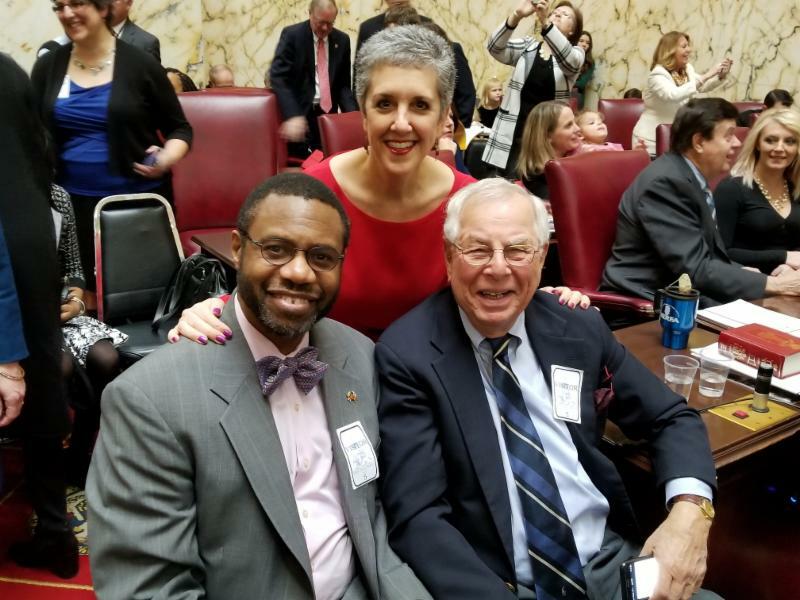 I was thrilled to be recognized (along with the fabulous Delegate Pena-Melnyk) as the very first Legislative Champion by Maryland Nonprofitsfor my leadership on behalf of their sector. Throughout my career, I have worked closely with nonprofits. I am proud to have created and enacted the “NIMBL” Interest-Free Micro-Bridge Loan and addressed their overhead costs in government contracts. Charitable organizations are essential to the continued growth and prosperity of our state. One in every ten Marylanders are employed by a nonprofit. Their invaluable work inspires me every day. You can watch my remarks to the conference here. Access to reliable information can be difficult, but staying informed on state and local issues is crucial to democracy. In addition to the Washington Post, Baltimore Sun, and your local television stations, I encourage you to check out Maryland Matters, Bethesda Beat, and State Circle. 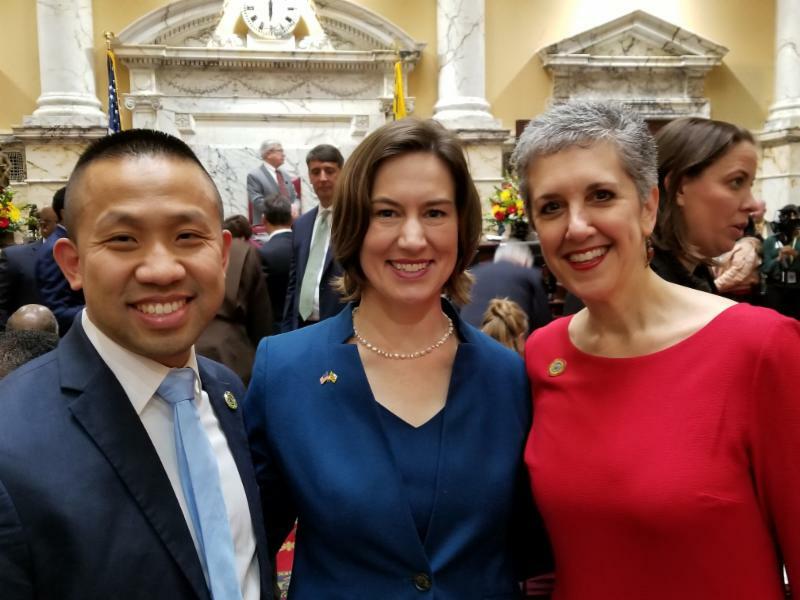 This is the first of my weekly legislative updates; I am committed to keeping you informed throughout the 2019 Session. You can also follow me on Facebook, Twitter, and Instagram for photos and posts. Please check my website for information about internships, Senatorial Scholarships, and more. And, you can always send questions or comments to me via email. P.S. : Have you gotten your reserved seats for the 3rd annual UnNaugural Concert yet? Once again, I’ve got five performers raising funds for five nonprofit organizations. This year’s beneficiaries work on affordable housing, domestic violence, poverty, pollution, and suicide prevention.